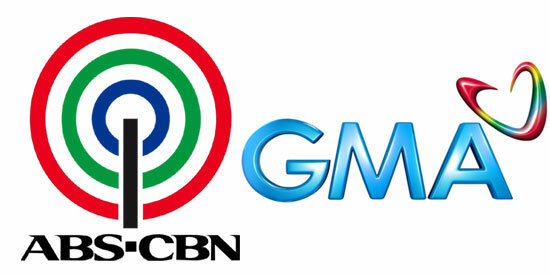 ABS-CBN says GMA program interruption on TVplus boxes \"was due to GMA&rsquo;s own signal loss\"
ABS-CBN says GMA program interruption on TVplus boxes "was due to GMA’s own signal loss"
ABS-CBN maintained that it has nothing to do with the loss of GMA channel signal via TVplus digital boxes. ABS-CBN TVplus box, also known as “ang mahiwagang black box,” is a digital box that aims to provide clear reception for all free TV channels via digital transmission. This is in relation to five complaints before the National Telecommunications Commission (NTC) against ABS-CBN TVplus boxes' alleged signal disruptions, particularly during the airing of Eat Bulaga's Kalyeserye segment. “In short, the complainants suffered from a mistaken notion of what a receiver is and what it cannot do, and effectively side-tracked the more telling issue and that is, the program interruption was due to GMA’s own signal loss. “Signal loss due to GMA was confirmed because, not only were signals of other broadcasters during the time in question detected and received by the TVplus box, upon careful monitoring, ABS-CBN actually recorded an episode of signal loss from GMA leading to the signal loss experienced by the TVplus box. ABS-CBN also stressed, in the same letter to NTC, that it is the responsibility of GMA to explain to the public the reason behind the intermittent transmission of its own digital signal in Metro Manila. “The company has therefore asked the NTC to require GMA 7 to respond to these complaints as well. To date, GMA has also filed separate NTC complaints against the ABS-CBN-owned SkyCable with regards to similar signal disruptions on the said cable service provider.